Synopsis: 'Would she have done the same for me?' When Luka was eleven years old, his mother gave birth to the baby girl she'd always wanted. After that, no matter how much his mum told him she loved him, Luka was convinced she loved his sister more. When Luka's sister is three, his mother makes the ultimate sacrifice and gives her life in a useless attempt to protect her daughter. Luka is wracked with grief and haunted by the question, 'Would she have done the same for me?' In the days after the bomb blast that tears Luka's mum and sister away, Luka's family begins to fall apart. His dad retreats to his bedroom, his brother slips into vigilante mode, and his uncle tries to rescue them all, when all they really want is to be left alone. Luka, who has always been a peacemaker, tries desperately to hold what's left of his family together, but finds he's teetering on the edge himself, struggling to do much more than keep his own demons of guilt and rage under control. 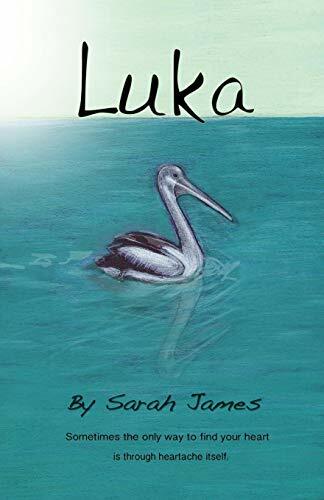 Luka is a story about men and boys, how they cope with grief and anger when the emotional glue of women is no longer there to support them. It's a story of pulling the pieces back together when it seems there are no pieces left to find. Ultimately it's about acceptance, forgiveness, and the realisation that life isn't always about getting the answers that you think you need.